We’re delighted to announce that our beautiful new show home at Redcliffe Parade will launch on Saturday 14th October 2017. 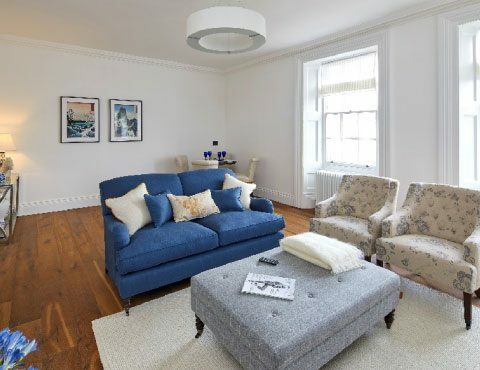 With its period features and stunning views over Bristol, Redcliffe Parade is a meticulous conversion of 3-8 Redcliffe Parade West, one of Bristol’s most iconic Georgian Terraces. With its distinctive coloured façade, Redcliffe Parade sits in an elevated position overlooking Bristol’s Harbourside and out over the city. Those lucky enough to own a home here will enjoy the peace and tranquillity of this sought-after area in Redcliffe, yet be within a short walk of central Bristol, its restaurants, cafes, shops and businesses. Michelin starred restaurant Casamia is close by, as is the characterful Wapping Wharf, with its independent shops, bars and eateries. The luxury apartments at Redcliffe Parade will be complemented with the very best in contemporary design, with Kährs hand finished traditional oak floors; handmade, solid wood Neptune kitchens, including integrated Neff appliances, and beautiful Porcelanosa bathrooms, giving style and a sense of individuality to each apartment. The heritage of the building offers an incredibly adaptable space within each apartment.